For 2019, our Lake McDonald corral is scheduled to be open from May 25th through September 22nd, weather dependent. 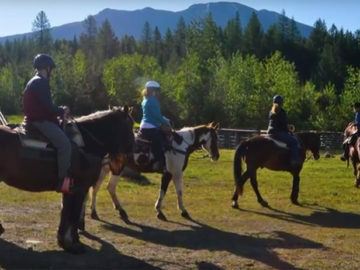 This easy one hour ride meanders underneath the canopy of the Cedar Forest surrounding our Lake McDonald Corral, but is only booked when horses and guides are available. This scenic two hour ride takes you through a dense, old growth Cedar/Hemlock Forest and provides excellent views of both the upper portion of McDonald Creek and Lake McDonald. A truly picturesque ride, not to be missed! On August 31, 2017 the Sperry Chalet hotel building was lost to the Sprague Fire. However, thanks to the cooperation of the National Park Service, Belton Chalets Inc., the Glacier National Park Conservancy and numerous donors from the general public, Sperry is being rebuilt! Phase 1 of the Sperry Rebuild Project was completed during the 2018 summer season and focused on further stabilizing the Chalet and installing floors and a roof. Due to the construction, Swan Mountain Outfitters will only take rides to the Chalet on Saturdays and Sundays during the 2019 summer season. Since the Sprague Fire burned in a mosaic pattern, if you have taken this trail before you may be equally surprised by both the changes from the fire and how much remains the same. Within just 20 minutes from departing the corral, you will see evidence of the fire: standing snags, charred logs and the truly rocky bed of the forest floor which no longer has the ground cover it used to. You will gain 3,300 feet in elevation across the on the 6.7 mile trek up to Sperry Chalet! There is far less tree cover as a result of the fire, so not only is this ride best suited for advanced riders due to the challenging terrain, but it is also a very hot trail for hikers and riders alike. Please be sure to be well prepared with water, snacks and stamina for the trip. The Sperry Chalet kitchen is in full operation, so once at the Chalet, treat yourself to a one of a kind meal made from ingredients that are delivered weekly to the Chalet via a pack string of mules! 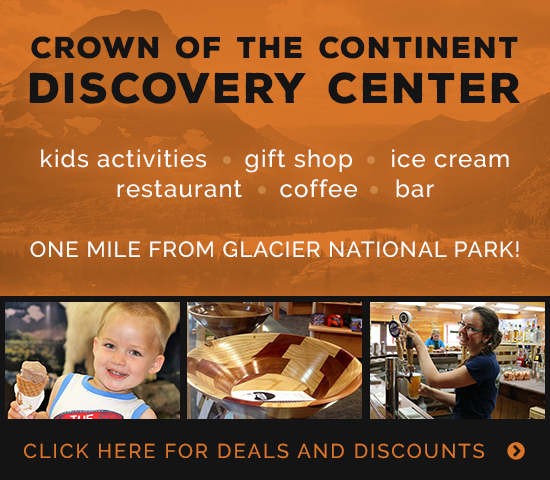 Follow Glacier National Park’s Facebook page to stay updated on Sperry project information. Swan Mountain Outfitters is giving our full endorsement to the as the fundraising partner for this important project. We would like to encourage all of our guests, our friends, chalet visitors, dreamers, and lovers of the National Parks to give your support. You can help rebuild Sperry Chalet by donating to the Conservancy’s Sperry Action Fund.